L to R; Fire Fighter/Medic Technician James R. Porter, Fire Fighter/Medic Michael S. Williams, Fire Captain Ricardo L. Summers, Fire Fighter/Medic Christine J. Wrzesinski, Jimmy Loor and the Staff from AAMC. 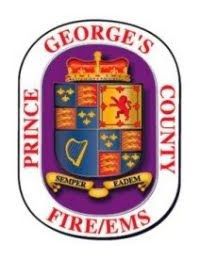 On Thursday, August 19, 2010, a recently retired civilian employee of the Prince George’s County Fire/Emergency Medical Services (EMS) Department suffered a medical emergency similar to those that he dealt with countless times during his 34-year career. Jim Loor, 56 years-of-age; had officially retired from the Fire/EMS Department on July 1, 2010, having spent the majority of his career working in the Bureau of Fire/Rescue Communications where he filled numerous roles, one of which to answer incoming 911 calls for help; just like the one his son placed when Jimmy knew he needed help. Jim Loor is also a long-time volunteer firefighter and during his tenure with the Fire/EMS Department worked in the Logistics and Supply Office as well as Apparatus Maintenance and knew just about all the firefighters and medics employed by the Department, including the ones that helped save his life. Firefighter/Medics from Pointer Ridge Fire/EMS Station #843; Fire Fighter/Medic Technician James R. Porter and Fire Captain Ricardo L. Summers, and Paramedic Ambulance #816 from the Northview Community Fire/EMS Station with a crew of Fire Fighter/Medic Michael S. Williams and Fire Fighter/Medic Christine J. Wrzesinski were quick to respond to Loor’s Bowie home. Upon arrival, medics performed a patient assessment and documented vital signs. Loor was placed on a 12-lead EKG where paramedics detected the tell-tale signs in his heart rhythm that he was suffering from a myocardial infarction – a heart attack. 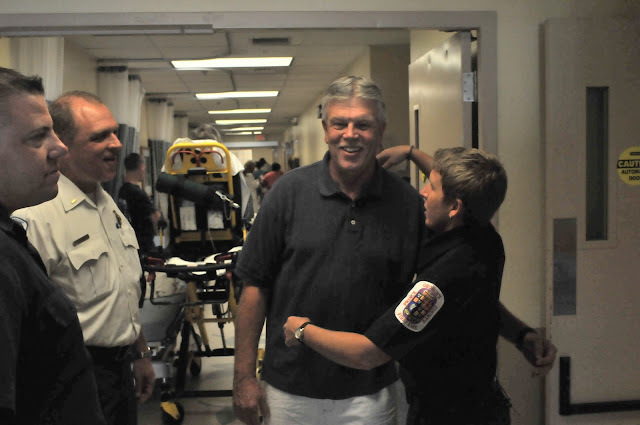 Paramedics started two IV’s, placed him on oxygen and had a medic consultation with physicians at the Anne Arundel Medical Center (AAMC) in Annapolis. Paramedics conveyed their interpretation of the EKG over the phone as medic units had not yet received the technology to transmit EKG’s to a hospital. Fire Fighter/Medic Michael Williams provided a thorough consult and accurate interpretation and conveyance of the EKG to the ER staff at AAMC. Because of the accuracy of the medical consult and despite not having an EKG in hand – emergency room physicians alerted the Cardiac Cath Team while the patient was en route, saving valuable time. 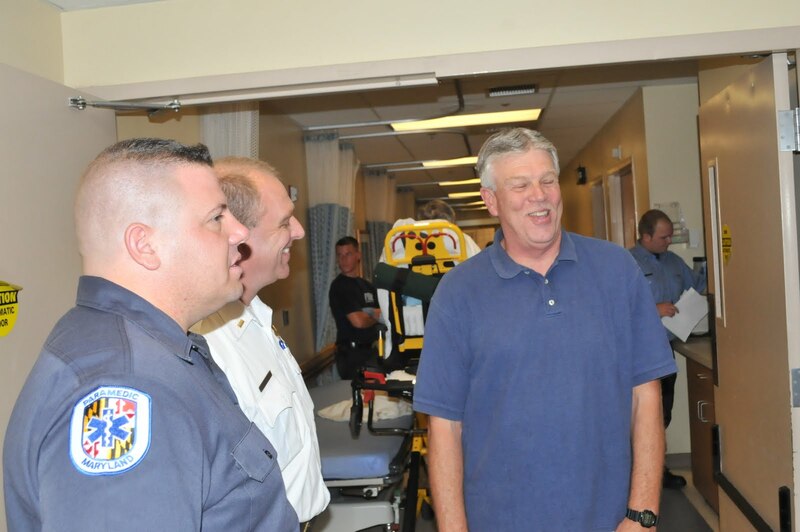 While en route to the hospital, at Route 50 and Route 301, Loor went unconscious and medics quickly assessed his heart went into a ventricular fibrillation. Medics worked feverishly to restore a normal rhythm and successfully defibrillated the patient while administering medication per Maryland Protocol and physician consultation. Upon arrival at the AAMC Emergency Department the patient made a brief stop before being swiftly taken to the cath lab. Valuable time was saved by paramedic’s initiating a second IV and early recognition and notification to the hospital thorough consult and accurate interpretation and conveyance of the EKG. The patient went on to the cardiac cath lab where he had a stent placed for a completely block coronary artery. Due to the excellent teamwork of medics and staff at the AAMC the “door to balloon” time in this case was 30 minutes, compared to a national standard time of 90-minutes. Time is critical in these cases as heart muscles will sustain additional damage the longer the time it takes to receive treatment in a Cath Lab. Loor was released from the hospital on Sunday, August 22, 2010. 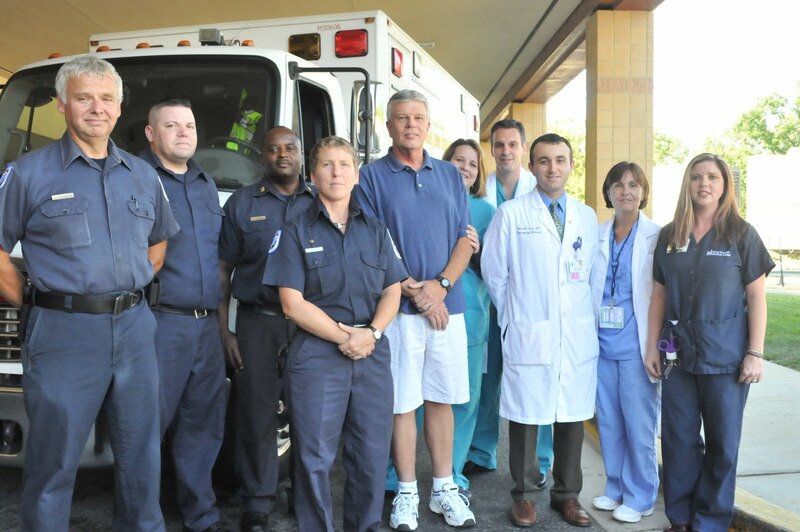 On Tuesday, September 7, 2010, Jim Loor and wife, Marlene, met the team of paramedics and hospital staff that saved his life. Jim and Marlene greeted and thanked each member of the team that saved his life. While still under doctor’s care, Jimmy Loor stated that he feels great and is still getting accustomed to his new way of life. A week after this incident, paramedic units were equipped with the Blue Tooth Technology that allows them to transmit EKG’s directly to the hospital. This technology was the result of a grant from the Southern Maryland Hospital Center. Fire Fighter/Medic Christine J. Wrzesinski gives Jimmy Loor a hug as Fire Fighter/Medic Williams and Lieutenat Ross Crampton look on.